The Jaguar F-PACE couples class-leading interior space and exceptional on-road dynamics with five-seat usability to produce a true performance cross-over. It will encapsulate everything that Jaguar stands for: beautiful design, precise handling, a supple ride, luxurious interior finishes and cutting-edge technology. Jaguar F-PACE will be manufactured in Solihull, England. 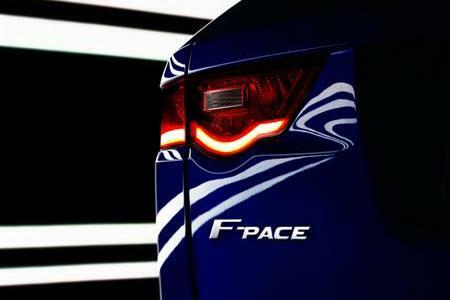 Further details of Jaguar’s all-new F-PACE will be announced later this year.